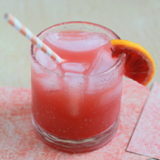 Fresh blood orange juice makes for a pretty pink twist on the classic screwdriver. Blood oranges are in season, and despite their gruesome name, blood oranges are such a wonderful fruit. Their unassuming exterior – they pretty much just look like any other orange – hides gorgeous garnet sections that, when squeezed, make for a stunning juice that’s almost neon pink in color. Food bloggers love them, of course. I mean, have you seen these pretty pink blood orange bars? Or these gorgeous margaritas? Or these insane donuts? Or this sorbet?! So naturally, I thought I’d trash it up a bit. 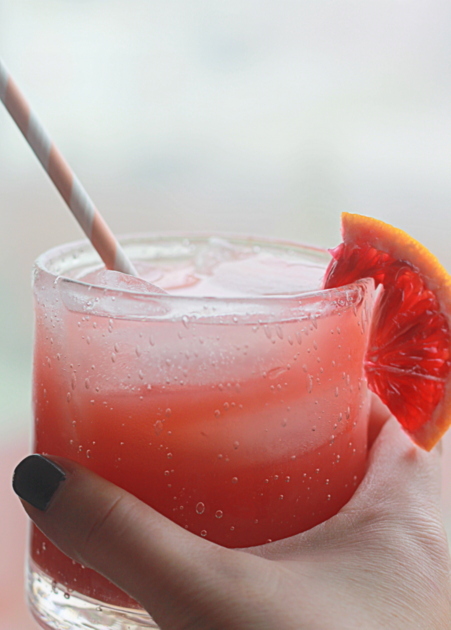 That’s right … blood orange screwdrivers, baby! Ahh, screwdrivers. So easy, so delicious, so dangerous, so … old school. Is it just me, or don’t you totally equate screwdrivers with strawberry Boones, Bartles & James wine coolers and Schmidt beer? Or is it just me and the fact that I had way too many screwdrivers in red Solo cups at illicit high school strictly-over-21 parties? Well, no matter. 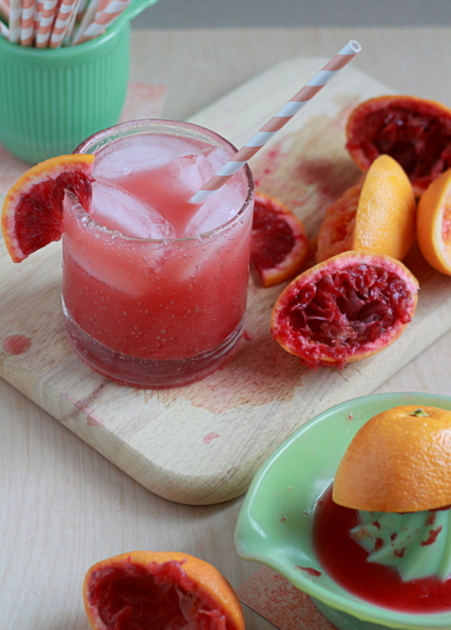 Because I think the introduction of fresh blood orange juice might just fancy it up a bit. Especially when you mix it with good vodka and abandon the red plastic cup for, you know, a nice glass number. Pure class, my friends, pure class. Yes? No? Okay. Sorry, sorry. 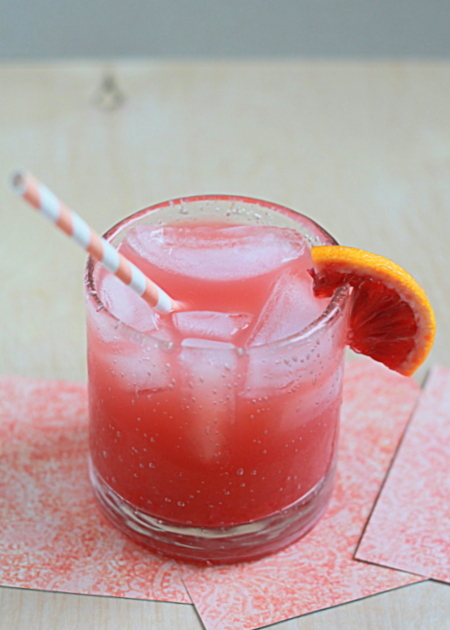 Add juices and vodka to a highball glass. Stir. Fill with ice. Serve. I recently found your blog and love your recipes! 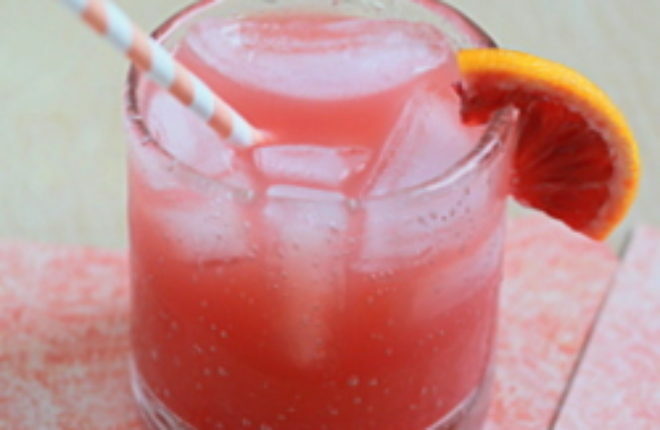 This is a great drink to remind us that spring is coming. Thanks! Thank you so much Jill! Yes, the bright cheery color helps us see that spring is on the way … I don’t know about you, but I need it badly! Thank you thank you! They definitely hit the spot on a Friday afternoon. Pingback: “Doctor Who"-Inspired Treats That Won’t Leave You Feeling Like A Slitheen | シ最愛遲到. !